The Volkswagen Electric I.D. 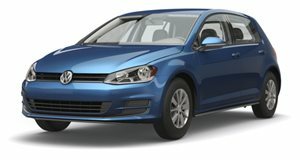 Hatchback Not Coming To The US? You can blame America’s love of crossovers once again. To repair the damage done to the brand by the disastrous Dieselgate scandal, Volkswagen wants to reinvent itself as a premium electric carmaker with the launch of its new I.D. range. Three concepts have already previewed the potential production line-up: the I.D. hatchback, the Microbus-inspired I.D. Buzz, and the I.D. Crozz crossover. Initially, Volkswagen will launch the I.D. hatchback in selected markets in 2020 – but the US won’t be one of them, according to Autoblog. Can you guess which I.D. car is coming to America first instead? Predictably, the Crozz will be the first car in VW’s electric I.D. line-up to go on sale in the US either in late 2020 or early 2021. Yes, once again America’s love affair with SUVs and crossovers is to blame for Volkswagen’s reluctance to launch the I.D. hatch stateside. Hardly surprising, given that the popularity of the crossover segment is still showing no signs of slowing down in America. The electric crossover segment also remains largely untapped, so VW has an opportunity to fill the void. Despite what Chevrolet’s marketing may tell you, the Bolt resembles a hatchback more than a crossover, and the expensive Tesla Model X SUV is out of reach for most buyers. Volkswagen, on the other hand, has promised that its electric I.D. cars won’t be much more expensive than regular models, which could give it a competitive edge. The I.D. Buzz also still hasn’t been confirmed for production, but VW’s modular platform means we’ll likely see the reborn electric Microbus make it to production – but it might not happen until close to 2025. As for what you can expect from the Crozz I.D. when the production model launches, the concept debuted at Shanghai with a 75 kW motor at the front axle and a 150 kW motor at the rear, producing a combined output of 302 hp and a quoted range of 311 miles on the European driving cycle. As German as a German car gets. Also proves to us why Europe is in love with the Golf. Go ahead and try to find another car that pulls off luxury and all-round utility for the price of the Golf. We'll wait.